X3 - Der neue Gummi von Proline - speziell für europäische Strecken ! This is a pair of Blockade 1:8 Buggy Race Tires in the X Compound. Â Â Historic. Revolutionary. 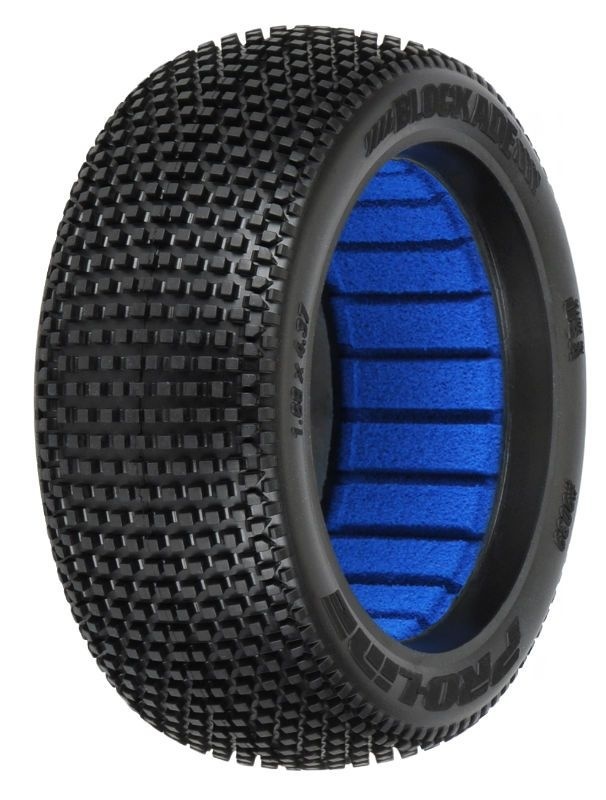 The Best.Â Just a few words that have been used to describe Pro-Line`s new Blockade tire.Â HistoryÂ was made the first time the Blockade touched the race track Â Winning the 2011 ROAR Fuel Off-Road NationalsÂ by 2 laps at the hands of Ryan Cavalieri! Now available in the X Series Compounds!Â TheÂ RevolutionaryÂ tread design features large lugs for class leading tread life, perfectly balanced tread spacing for maximum forward bite and uniquely blended side tread that reduces the edginess found in other race tires. This tire will give your buggy qualifying speed with tread life capable of handling hour long A-mains. Pro-Line`s Blockade is the new must-have 1:8 Buggy Race tire and will dominate your local track. The Blockade  The latest way that Pro-Line is Racing to Bring YouÂ The Best!